"Animal Symphony" - Summer 2018! 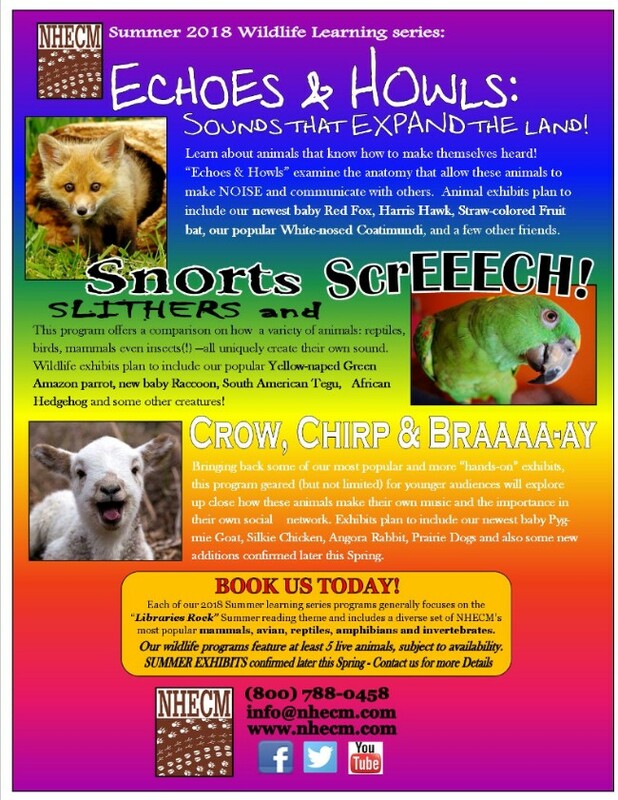 GEAR UP for NHECM's new Summer Wildlife learning series!! We still have a few spots left!! Please email or call 800-788-0458. Check calendar below for availability or when we are in your town! 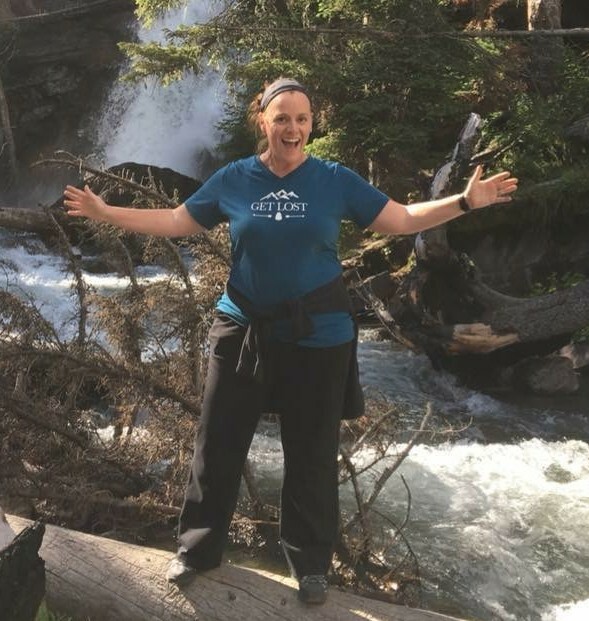 Our newest brave "road warrior" to join the NHECM gang, Mary Beth is a middle school teacher in West Memphis, Arkansas with 13 years experience primarily in reading, language arts and social studies. She also has a farm "full" of animals, and loves kayaking, traveling and camping! We are excited about her bringing that passion for the outdoors, learning and her natural love of animals and wildlife to our "Crow, Chirp, & Bray!" programs this Summer! 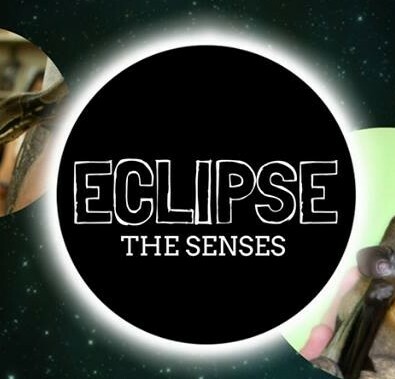 FALL 2018 - introducing "The Senses"
Beginning next Fall we are excited to announce our newest program, featuring "The Senses"! Each animal exhibited will be featuring an amazing super-ability in one of the five (or more?) senses! Geared specifically for the S.T.E.A.M. initiative - we will together explore the anatomy (nature's design and structure) and biology behind their amazing talents!! Annual clients will be scheduled automatically - if interested or NEW, contact us for more details or follow us on Facebook! REMEMBER: LIKE us on FACEBOOK for updates & special public events this Spring and coming Summer 2018! Copyright © 2018 NHECM: Natural History Educational Co. of the Midsouth, All rights reserved.